Mental health professionals may also utilize dream analysis as part of therapeutic frameworks such as Jungian, Gestalt, cognitive behavioral, and art therapies. Most theoretical models use the basic tenets of dream analysis in the same way: A person in therapy relates a dream to the therapist, discussion and processing follows, and new information is gleaned from the dream. At the conclusion of the process, the therapist can help the person apply the new information in a useful way. Although these similarities exist, each therapy model applies dream analysis in different ways. Psychoanalysis: In psychoanalytic theory, dreams represent wish fulfillment, unconscious desires, and conflicts. Dreams contain both manifest and latent content. Manifest content includes information from the dream as the dreamer remembers it. Latent content represents the repressed, symbolic meaning embedded within the dream. 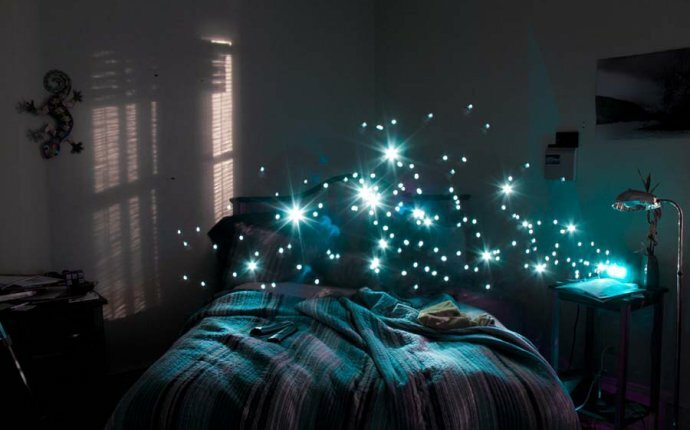 During dream analysis, the person in therapy shares the manifest content of the dream with the therapist. After specific symbols are pulled from the manifest content, the therapist utilizes free association to facilitate the exploration of repressed material. For example, Lisa, a student, shares a dream with her therapist in which she is in the back seat of a moving car that has no driver. The stoplight ahead turns red, and she is unable stop the car. The therapist helps Lisa break down the manifest content into the following symbols: moving car, back seat, red light, and loss of brakes. Through the process of free association, Lisa shares whatever comes to mind when thinking about each symbol. The therapist interprets these associations and offers potential meanings. Lisa and her therapist decide that the dream represents the unconscious conflict she has felt about choosing a career. She reveals that her parents want her to study medicine and she has not yet told them she wants to be a writer. The therapist suggests that the runaway car is on a path to a future she does not desire. Until she gets into the driver's seat, she will not be able to stop it. This interpretation fits for Lisa, and she decides to tell her parents about her career aspirations. Jungian analysis: Jungian analysis is similar to Freud's psychoanalysis in that dreams are probed for unconscious material and symbols are explored for hidden meaning. However, in Jungian dream analysis, the dreamer is more crucial in unlocking the dream's message. Additionally, dreams are seen as attempts to express and create rather than efforts to repress and disguise, as in Freud's theory. Jungian dream analysis is based on Jung's belief that unless the interpretation resonates with the dreamer, the interpretation is not helpful. In addition to the free association method described above, Jungian analysis also utilizes a technique called amplification. Amplification is based on the assumption that humanity shares a collective unconscious, or a set of inherited universal experiences. In this technique, collectively agreed-upon associations are explored. For example, if the person in therapy dreams about a dog, the therapist will encourage the exploration and research of universally understood information about dogs (dogs are affectionate, man's best friend, dogs in mythology, and so on). Amplification goes beyond using just the individual's associations; it explores the collective understanding of the symbol to help the individual find meaning in the dream. Gestalt therapy: Dreamwork in Gestalt therapy is implemented somewhat differently than in psychoanalysis and Jungian analysis. Gestalt therapists believe that dreams are existential messages we send to ourselves. These messages are actively explored to bring dream content into a person's actual life. A major technique used in Gestalt dream analysis is the “Take the Part of” technique. In this process, the therapist asks the person to write down everything remembered about the dream. The person is then asked to act out each “part” of the dream, creating a dialogue between the parts. For example, if a man dreams about a hooded figure standing in his garden, the therapist might tell the man to ask the figure questions. He might ask, “What are you doing in my garden?” and then answer, playing the part of the figure, “I am here to protect your loved ones.” This back-and-forth playing of parts helps people in therapy clarify feelings from all angles. Existential art therapy: In this approach, dreams are explored through an existential lens. The therapist acts as a witness as the person in therapy attempts a journey of self-discovery. Dream images are explored, interacted with, and analyzed through art. The existential art therapist encourages those in therapy through their attempts to find meaning from the imagery, providing support but avoiding making interpretations for the individual. Dreams have intrigued the human race for thousands of years. In ancient times, the Babylonians and Egyptians believed dreams were prophetic and held heavenly meaning. Aristotle interpreted dreams as psychological phenomena and viewed them as the life of one's soul while asleep. In the middle of the 19th century, the first scientifically-based dream research took place, but it was not until Freud published The Interpretation of Dreams in 1900 that dream analysis widely developed. His was the first established theory that incorporated dreams within the context of the helping relationship. Jung adapted Freud's theory, proposing that dreams do not signify repressed unconscious drives but represent expressions of creativity aimed at resolution. Since then, other therapy models like Gestalt therapy, art therapy, and cognitive behavioral therapy have used dream analysis in one fashion or another.